South Burlington Vermont has a great public school system, nice park system, and great activities in summer and winter. South Burlington VT condos for sale offer a gateway into all that South Burlington offers. 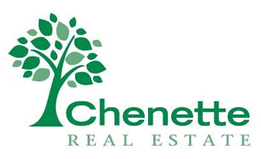 Get answers to all your questions about condos in South Burlington Vermont or any other parts of Chittenden County real estate by contacting Dave Chenette or calling 866.532.2321. One of the most exquisite townhomes in Vermont! This, over 3,300 finished sqft, 5 star plus confirmed efficiency Vermont rated townhome has three large bedrooms with spacious closets, three and a half baths (including a master bath with custom tiled shower and dual shower heads, an attached two car garage, and 900 finished sqft in the basement. Completed in 2014, has all the custom finishes you could want! Upgrades include: radiant floor with re-circulation pump in the master bath, a chef's dream kitchen perfect for entertaining, a beautiful fireplace inlay, hardwood floors on main level, a utility sink and exhaust fans in the basement work room, Central air, Central Vac, Custom Gordon Blinds, Ecobee smart home technology thermostat, and the house is expertly wired with cat6 and RG6 cable most of which is shielded for high speed capacity with minimal interference. In the summer enjoy bbq's from the back deck and patio with rope lighting. Under 10 minutes from downtown Burlington, and under 15 minutes to Burlington International Airport you won't find a better place to call home. Come visit today! The Spruce Townhome offers 1796 square feet including 3 bedrooms, 2.5 baths plus a walkout lower level that could be easily be finished if so desired! You'll love the sunny, open floor plan on the main level. The kitchen offers a center island with bar seating plus a dining area with slider to private back deck. Upstairs, you'll find a loft area perfect for an office or playroom, 2 guest bedrooms, the guest bathroom, laundry and the private master suite offering a large walk-in closet and en suite bath. Plus every home at Hillside comes standard with a 2-car garage. If you haven't been by Hillside at O'Brien Farm lately, stop by and check out the progress in the neighborhood! You'll enjoy the convenient setting with wooded walking trails, a community park and gardens plus great neighbors! Hillside at O'Brien Farm is located just off Kennedy Drive, close to South Burlington High School, downtown Burlington and the waterfront.